This is the third installment of the Going Global Series – China. 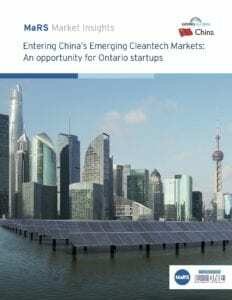 This report is designed to reveal opportunities in China for the Ontario clean technology, or environmental technology, sector. Within this report, you will find an overview of elements that will influence those opportunities and issues around market access. 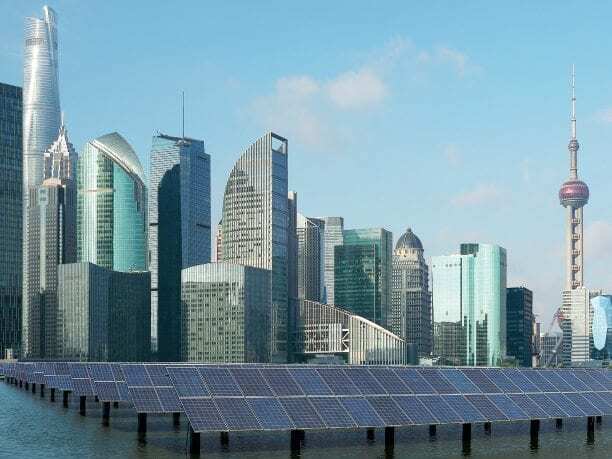 For cleantech startups, entering the Chinese market can be challenging but the potential opportunities outweigh those challenges. This report includes an overview of recent changes in policy impacting the sector, key opportunities, the investment landscape, changes in China’s innovation landscape, how to make first contact and evolutions in the IP landscape. This publication is the third part of MaRS’ Going Global: China series. Read the earlier reports, Playing the Long Game: China’s market opportunities for Ontario startups and Entering China’s Emerging Life Sciences Markets: The opportunity for Ontario startups.